Get ready, I am going to basically photo-bomb you with images of delicious burgers! 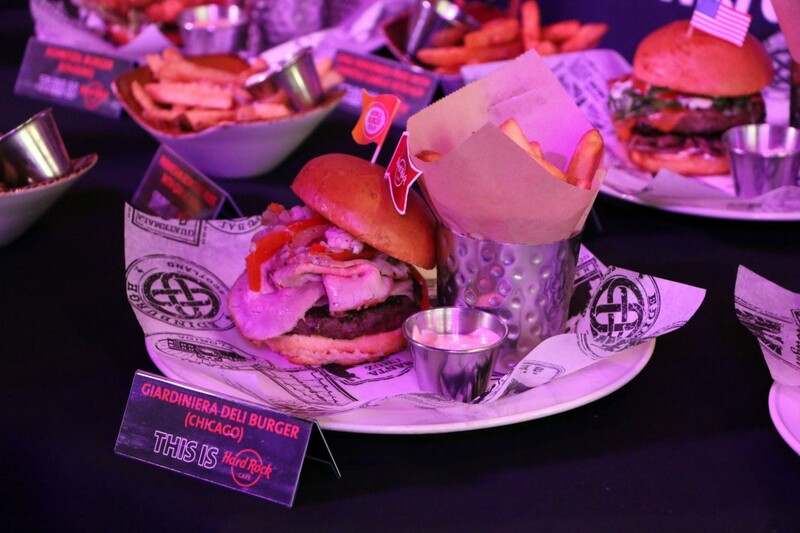 Because this is the World Burger Tour we are talking about, so what else could I photograph? Drinks to go with them, of course! I’m a long time resident of Florence and American. So yes, I love a good burger. And I mean a good, high-quality type of burger with meat I know comes from real cows, not some processed thing who-knows-what’s-inside type of burger. For me, the Hard Rock Cafe is where I head to when I get a craving and don’t feel like making it myself. If you’re in Florence for a short while, you might not get this craving but if you want to eat something different from pasta, you might consider heading here for a short break. 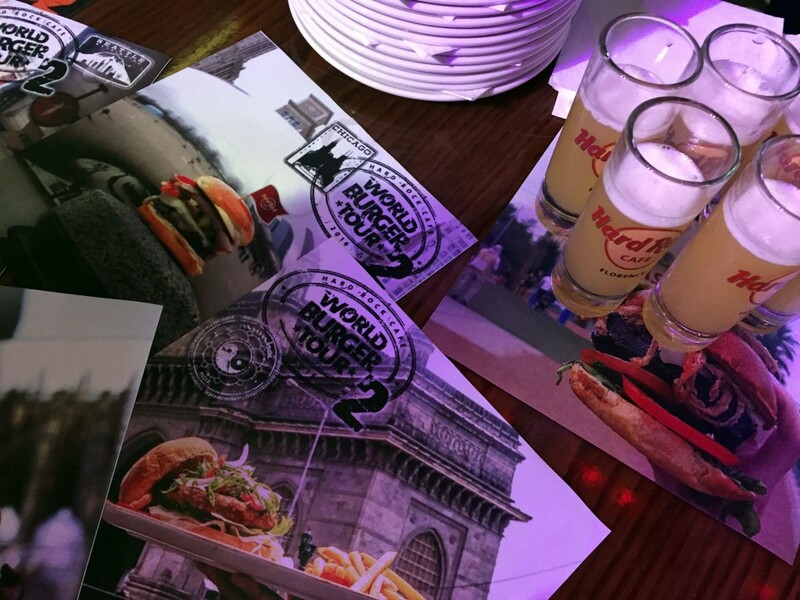 The World Burger Tour… what is it? 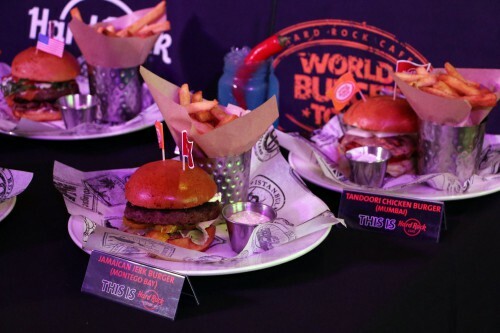 The Hard Rock Cafes around the world all have the Legendary Burger and each one of them has their chefs create their own “Local” Legendary burger inspired by the location they are in. This means that Florence Local has pecorino cheese and salumi inside. On the World Burger Tour, these local burgers go on tour to other cafes. For a limited time, each cafe is offering a chance to taste burgers from across the globe without the need to travel. In Florence, this May and June you’re getting the chance to travel to Las Vegas, Honolulu, Athens, Cologne, Mumbai, Seattle, Chicago and Montego Bay (Jamaica). 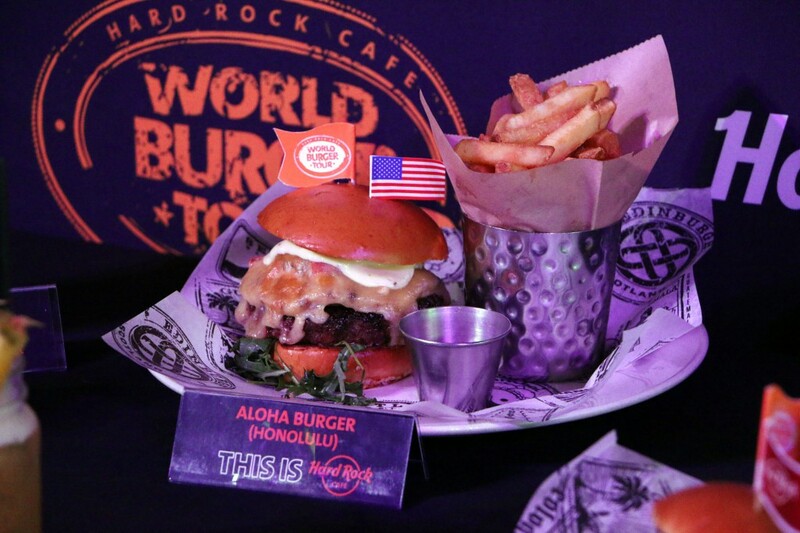 From hot and spicy Atomic Las Vegas burger to the sweet taste of mango (in the Jamaican Jerk Burger from Montego Bay) and pineapple (Aloha burger from Honolulu). The Greek burger has tzatsiki, the Schnitzel burger (Cologne) has two slices of crunchy breaded pork chops with sauerkraut and salty bacon, while Mumbai’s burger has a juicy tandoori chicken fillet. 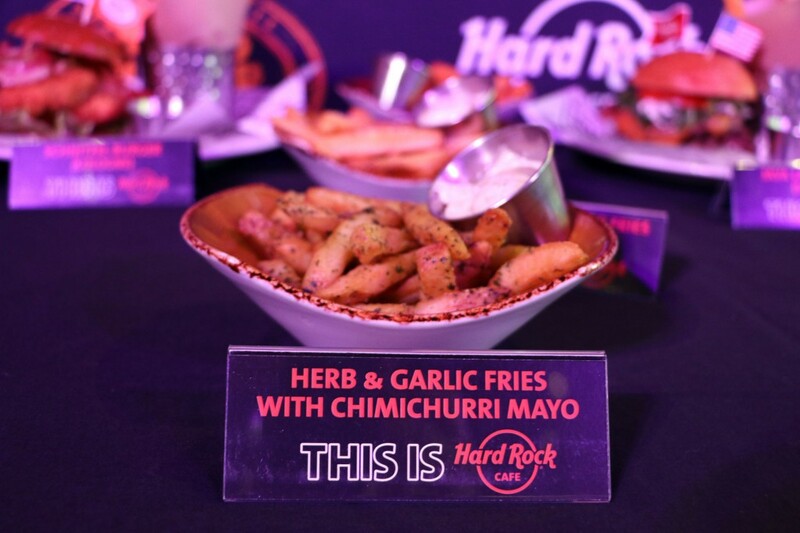 All of the burgers come with their side of deliciously crunchy potato wedges…. which you can have boosted with recently introduced flavors: herb & garlic, chili or parmigiano, each with their own special sauce. Drink up! 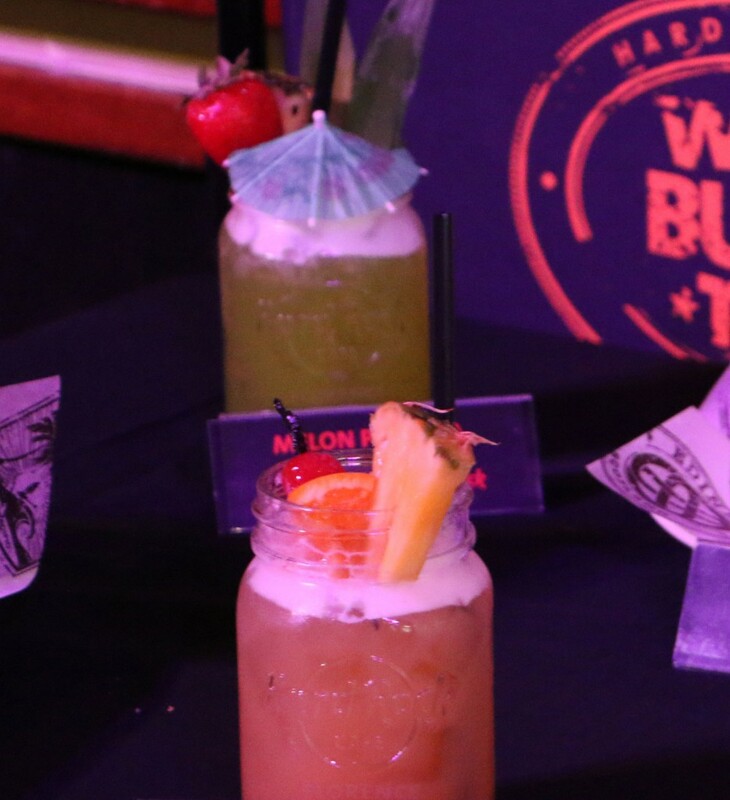 Enjoy the new cocktails developed by Hard Rock across the world and enjoy an All Jacked Up, a Crisp Sipper, Melonpalooza or Black Cherry Melonade. Curious? 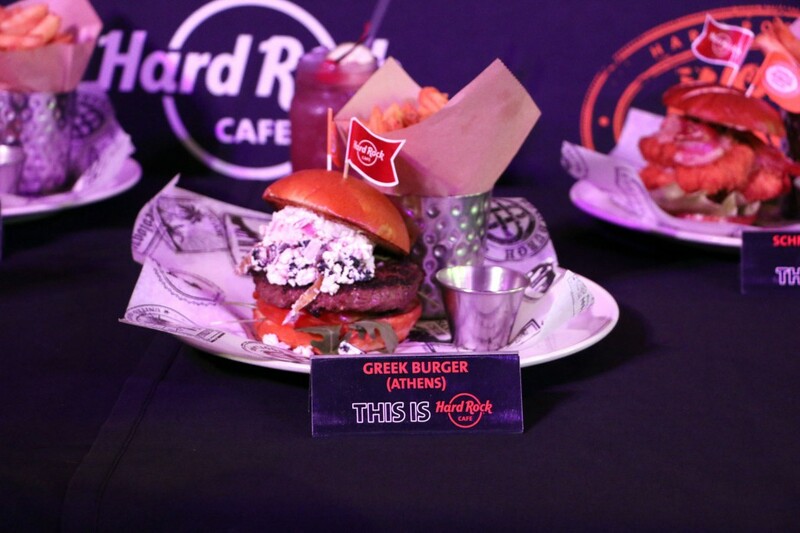 Head to the Hard Rock and try out the cocktail with the burger it was inspired by. 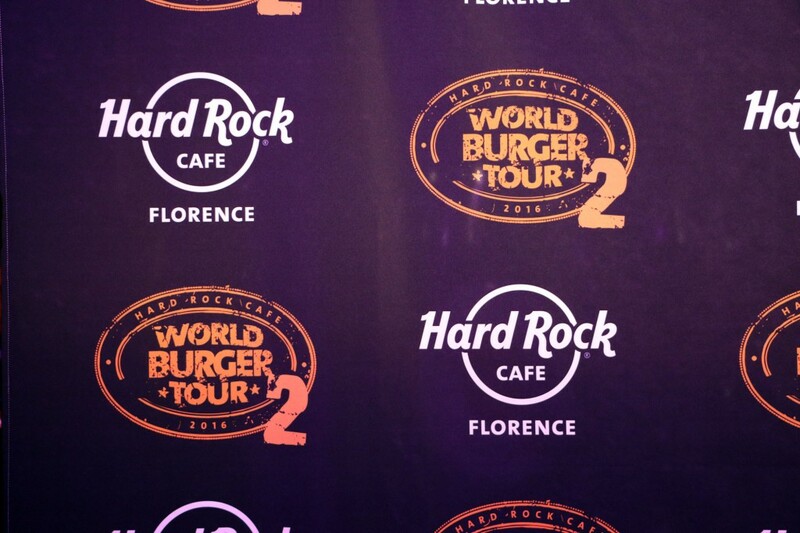 In addition, seeing that Italy’s Festa della Repubblica is next week, the Hard Rock Cafes in Italy are offering a special “National Day” burger menu inspired by Italian flavors. From May 30th through June 5th, you can enjoy the limited edition burger served up on ciabatta bread, with grilled eggplant, datterini tomatoes and a creamy Piedmot tomino. The fries will be flavored by scents of thyme, oregano and rosemary and served with a Mediterranean style salsa. A cocktail drink with the colors of Italy – red, white and green – will also be offered for the week. Go and discover the flavors mixed in! Until June 30, you can also find the His & Hers bands to fund the Italian Association for Cancer Research. 100% of the donations goes direct to the foundation to support young researchers with grants dedicated to studying breast and testicular cancer. Minimum donation is 1 euro.